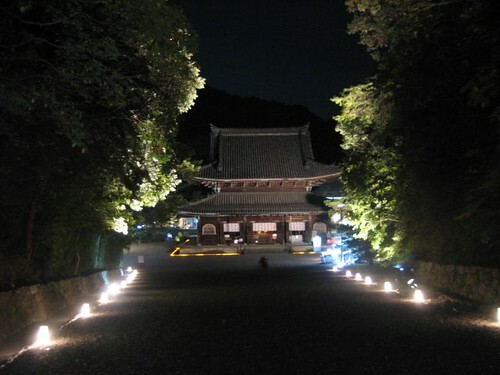 My best recommended night tour of temple is visiting Sennyu-ji, just 10 min. shuttle bus ride from Kyoto Station. Sennyu-ji Temple is located on the foot of Mt. Tsukiwa which is one of the eastern mountains, and founded in the beginning of 13th century. This temple has been connecting to the royal family of Japan, and has started opening to public a few years ago. 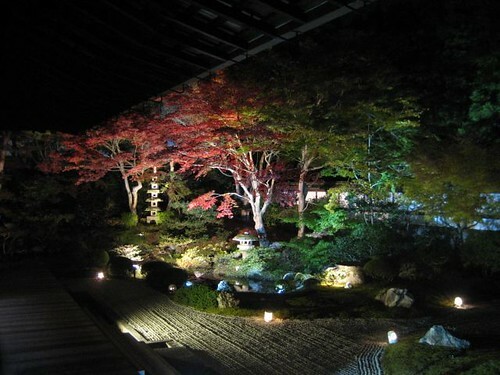 To tell the truth, I can’t say that night time illumination in temples is must-see event during your stay. They are sometimes too showy and commercial, so not suitable for sacred Buddhist temples, I think. However, that of Sennyu-ji is always moderate, and looks elegant and respectful for the surrounding nature such as mountains, trees and moon. The day time tour of Sennyi-ji is also recommended. 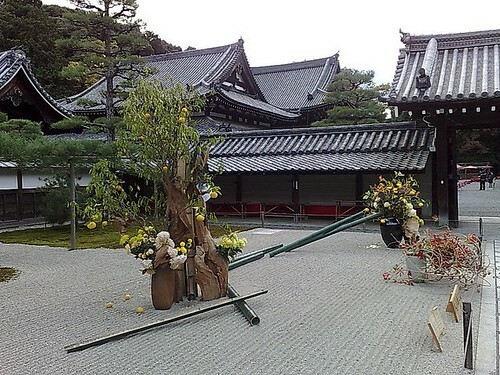 You can enjoy the display of seven Ikebana flower arrangements in each sub temples of Sennyi-ji. 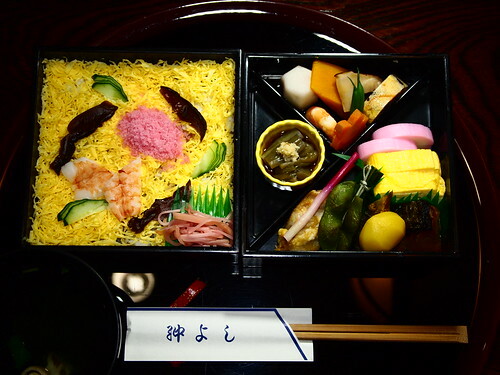 And of course bento lunch is included! This tour is operated on the same days of night tour. 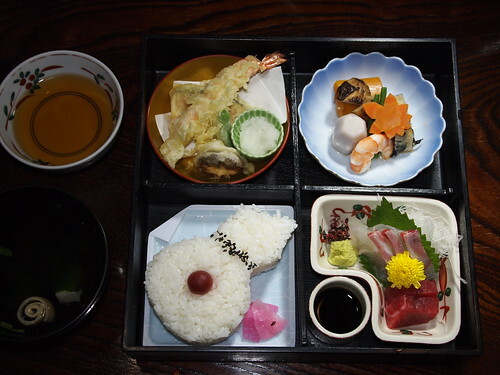 Enjoy a Japanese traditional culture and autumn nature in Kyoto!